I remember my only Home Economics, or "Home Ec," class, packed into the spring semester of my 8th grade year. I still recall the room, filled with giggling, pubescent girls. We were learning how to thread a needle, hem a pair of pants, cook a meal from scratch and do other “household” projects. True confessions. That was a lifetime ago. Home Ec disappeared from the curriculum of most U.S. school districts in the 1980’s. This made way for more “academic” and “gender-neutral” pursuits. “Shop” took a similar path, although you can often still find both classes at the high school level as electives. The dilemma, of course, is that few people will take them now. This is because of packed honors and AP (advanced placement) curriculums, plus other graduation requirements. School policymakers who enacted this change may have believed parents and grandparents would pick up the slack. But sadly, the American family continues to fall apart. Greater financial strain and increasing technology compete for the attention of young people. I mean, really? Who wants to learn how to sew on a button when Instagram, Tumblr, or Tetris calls? And, after all, our American Home Ec experience seems so "old school" and even chauvinistic, right? Shift to Japan, a nation many would think would have even further genderized their curriculum. “It is just something we do, no question. And Home Ec is not just sewing or cooking. We learn budgeting and bookkeeping, home maintenance and repair. I loved the basic auto care. We also learn stuff like gardening, and how to manage our lives." “Wow,” I exclaimed. I couldn’t help but get excited about this. Not because I love all these things. But instead because I can see the value in young people learning them as part of an overall education for life. So many young people in the U.S. never learn these skills. Even raising my children in a two-parent household with both working, I can see how a program like this in American schools could really make a difference. As it is now, we rely on parents and grandparents, extracurricular programs like boy scouts and girl scouts, and a host of other vehicles in a hit-or-miss attempt to educate children in these basic-living competencies. So, it doesn't just stop with Home Ec. 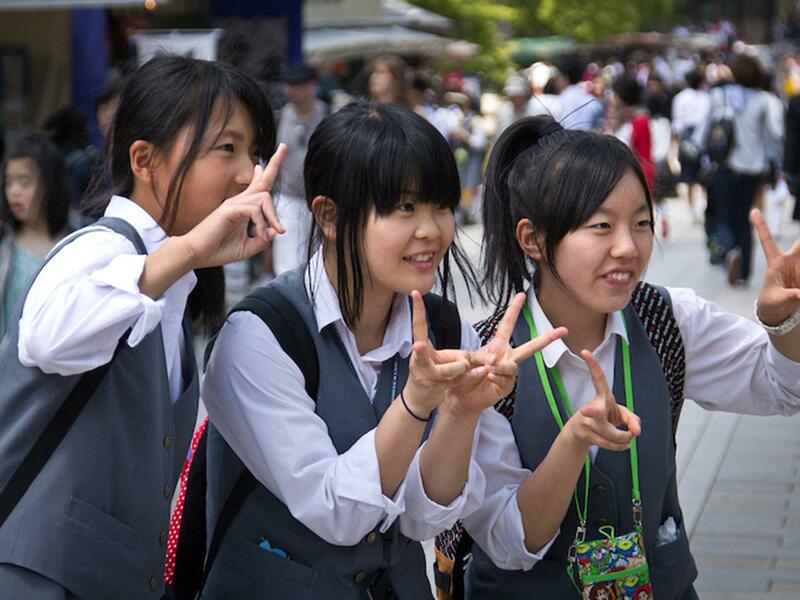 In Japan, mandatory education runs through 9th grade. Very few stop then; as of 2012, Japan’s high school graduation rate was tied for second place in the world with Finland, at almost 95% (2011 report on 2009 data, WAMU below). In this very same report, the U.S. came in at 75% (although a February, 2015-released report on 2012-13 levels claims a high school graduation rate of 81%, a significant increase). Concluding that early and consistent emphasis on katei-ka, or Home Ec, for Japanese children has even a casual link to high school success would be a leap. Still, it's worth pondering how this focus on preparing the whole person to become a functioning and contributing member of society might work in the United States. What policy and program changes could we encourage, large and small, that would give our children a better foundation for their future?